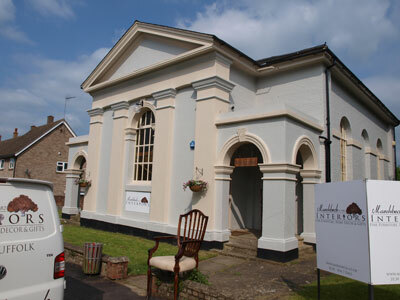 Established in 1982, our unique furniture and interiors showrooms are housed in a spectacular former united reformed church. 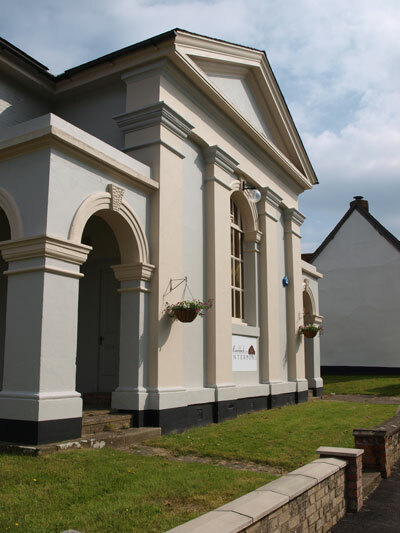 Saved from the brink of delapidation we continue to care and improve this grade 2 listed historic building. 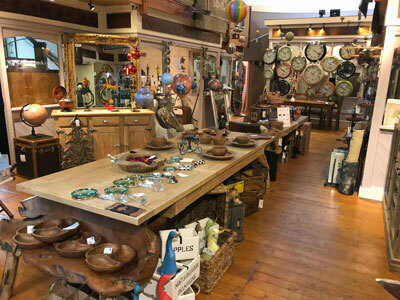 We are very proud of our shop which is nestled within the high street in one of Englands finest medievel weaving villages. A visit to this fabulous village and the surrounding area is highly recommended! 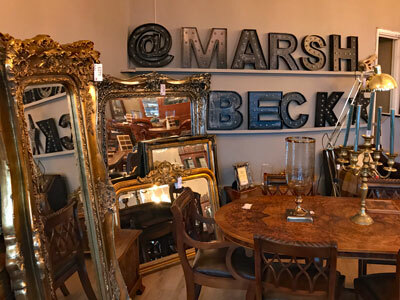 Including a huge display of fine and reproduction furniture, we also hold a vast array of home decor ideas and giftware. 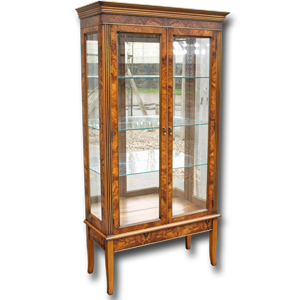 These include lamps, rugs, mirrors, pictures, clocks, vases, accessories and much more. 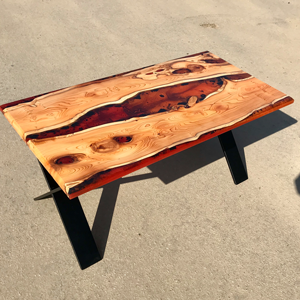 Come and view this stunning and timeless wood up close! 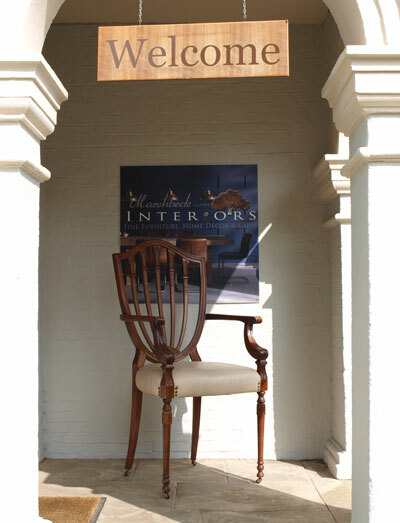 Office, sitting and dining room settings now available to view, sit on, touch and enjoy. 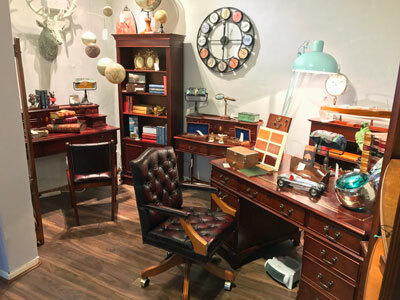 Use one our many office and study room settings to help inspire you to create your ideal work environment or home office layout. 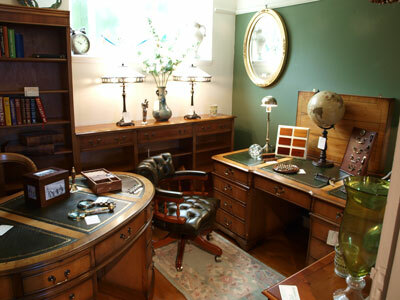 We always have many fine and reproduction desks, filing cabinets, bookcases, desk chairs and accessories on permanent display. As well as room specific settings such as office, dining and bedroom etc, we also display wood specific rooms such as yew and mahogany. These will help you visualise a room laid out with your preferred colour of fine and reproduction furniture. 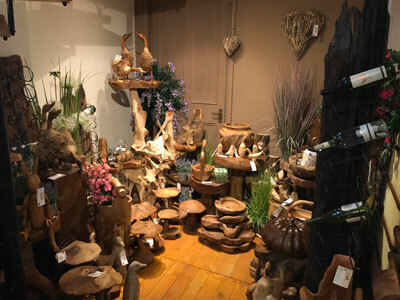 Come and see our superb displays of furniture and accessories made from the roots of teak trees. 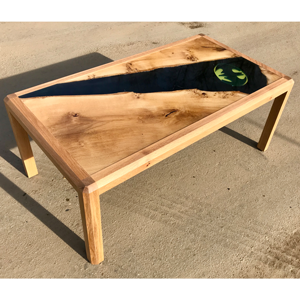 No two pieces are the same and offer both high craftmanship and value for money! 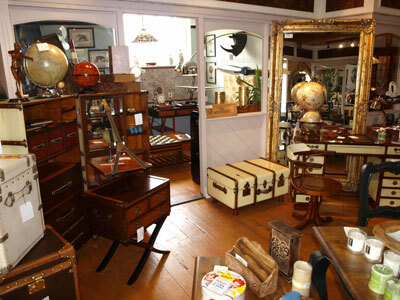 We now have the full range of Authentic Models accessories on display and most of the furniture range. Arranged beautifully and available for you to take away. Visit us if you can, we are open 7 days a week! 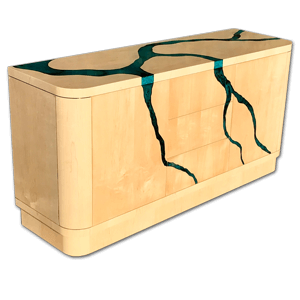 Originally designed by our MD for his own home, this unique range of art deco inspired furniture uses rare and incredibly beautiful woods, exhibiting both striking contrast and an unusual classic & contemporary look. 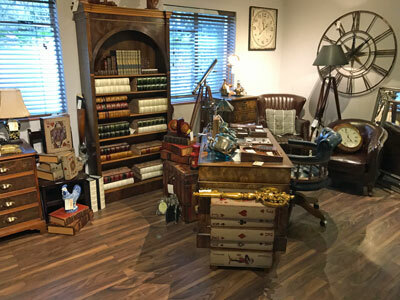 This range can be found here on our website but we have also dedicated a room setting within our shop, including the fascinating 'wood selection tool'! 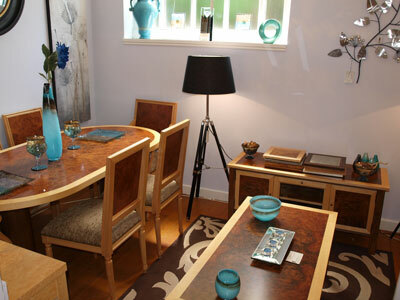 We also display and sell home decor items and accessories with an art deco look and feel. Our Retro collection is hand-crafted from old fishing boats that sailed the Strait of Malacca. This range is uses only wood from old boat wrecks coupled with smooth steels frames and corners to stunning effect. Boats that have reached the end of their lifespan are dismantled into large planks. Screws and nails are removed and then the wood is kiln-dried for 15 days to remove moisture. The furniture is then made retaining paint flecks, cracks and holes, preserving the character and feel from these hard-worn fishing vessels. Each piece is totally unique and will have various paint colours and wear marks throughout. 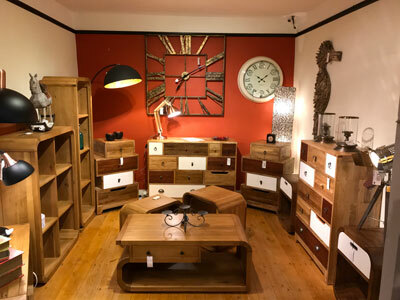 In addition to our many displays of reproduction furniture, we also showcase some superb contemporary designs - why not take the time to visit us and Lavenham! 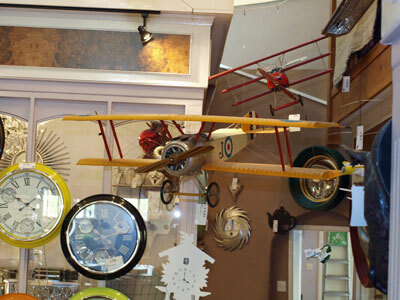 We always have around 2000 home decor, mirrors and gift ideas to take away! Look Out For The Giant Chairs! Come and see the many displays of Authentic Models!